A week of General Authorities! It has been such a busy week since I last wrote you! First off, the weather here in Bozeman has been just beautiful. It hasn’t gotten above 80 degrees yet and it’s been clear, sunny skies. What more could a missionary want? The beauty of the summer here totally makes you forget the horrors of winter, haha. On Tuesday, we left Bozeman at 5am to head off for Billings for Mission Tour! Mission Tour is basically a zone conference where a General Authority comes and “tours” the mission. Half the mission met in Billings on Tuesday and the other half met in Helena on Wednesday. The GA that came was Elder Carlos Godoy of the first quorum of the seventy. We arrived around 7:30am at the church building in Billings, and I quickly sat down and tried to do some last minute preparations for the discussion Elder Vaughn and I were leading. Then, one of the assistants invited me to play some prelude until the meeting started at 8. In my head I was like, “Nooo, I want to prepare!”, but I agreed. It was such an inspired invitation though, because playing the music of the church brought the Spirit more into my heart than anything else could have. Instead of feeling stressed and unprepared, I felt the Spirit’s calm assurance that it would all work out. And it did! Elder Vaughn and I focused our discussion on a talk by Tad R. Callister called “Becoming a Consecrated Missionary”. We talked about the various things that we need to figuratively “lay on the sacrificial altar”, such as disobedience, pride, fears, romantic passions, negativism, and sarcasm. The missionaries all participated a lot and and I learned a lot from the comments given. Several missionaries thanked me for the discussion and told me how much they enjoyed it, so it must not have been too bad. I also got to play the piano for the general session of Mission tour. When all the missionaries started singing “Called to Serve” in Portuguese, apparently Elder Godoy’s face just lit up. He commented later on what a fun surprise it was, and he said, “I was suddenly understanding it so well and I thought I had the gift of tongues for English!”. Everything about Mission Tour was awesome. Elder Godoy was so funny and inspiring. He talked for a while about how to choose an eternal companion, which was kind of different. I loved this statement from him: “To marry the right person, you must have the courage to not marry the wrong person”. He later went on to praise how well our mission is doing. He said that of the 22 missions in N. America Central, we are number 1 by miles in every category. I don’t tell y’all this to brag, but just to express how grateful I am to be in the Montana Billings Mission with President and Sister Mecham. They are truly inspired and I could not wish for a better mission president and wife. This week I finished my first mission journal! I remember flipping though the blank pages in the MTC and thinking about what it would feel like to finish it. Well, it feels pretty good! Looking back on these past almost eight months brings so many memories and smiles. There were good days and bad days and those in between. But I couldn’t imagine my mission without a single one of them. They are the missionary I am today, and also my dreams for who I will become. 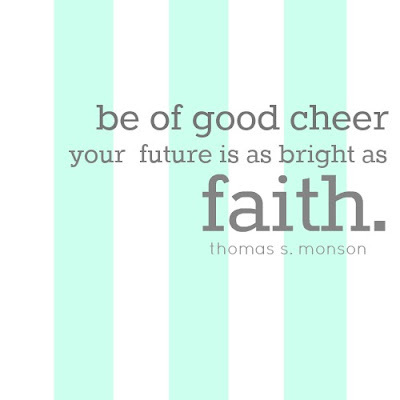 I am grateful for everyday I get to be a missionary for the Lord full-time. 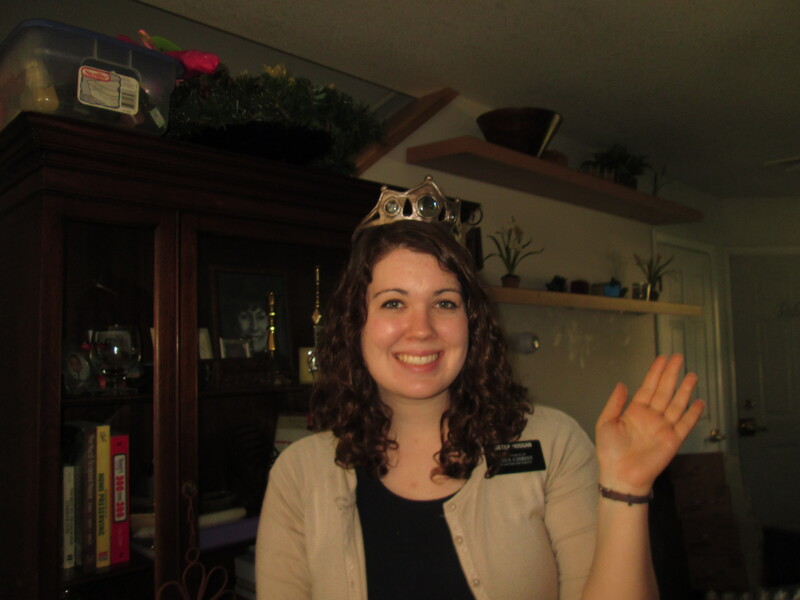 Every sister missionary needs a crown, right? The middle of this past week is a blur of lessons and service. On Saturday though, we headed down to Billings yet again! This time, it was for a multi-stake auxiliary training and the missionaries were invited if we could get a ride with a member. We were anxious to go, because the Primary, YW, and Relief Society General Presidents of the church were all there! A lovely lady in our ward with two sons on missions drove all 6 six of us sisters from Bozeman in her van. So kind! We got to sit in on the meeting with Sister Linda K. Burton as she addressed the relief society presidencies. I was struck by her love and care for the individual sisters there. 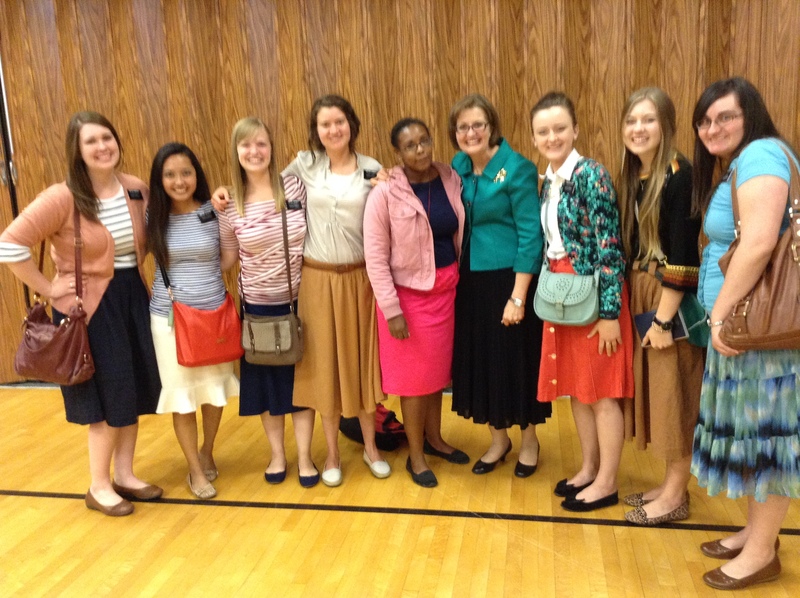 After the meeting, the missionaries got a group picture with Sister Burton. Sister Burton with all the sisters from Bozeman and Billings. I love you all so much!! Have a fantastic week!